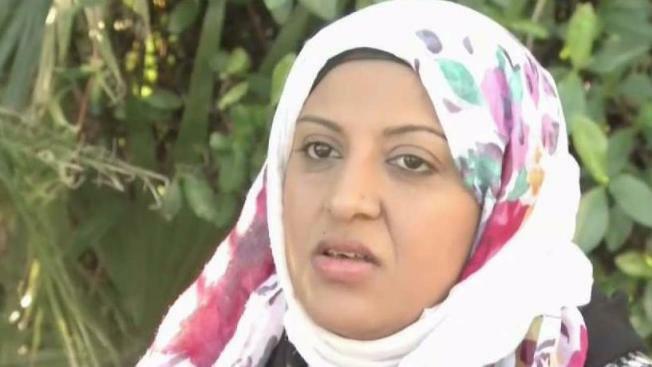 Putting a face on the Trump administration’s travel ban, an Oakland woman of Yemeni descent said her diabetic father, living in Yemen, was denied entrance to the U.S. to get medical treatment. While President Donald Trump has argued the ban is necessary to protect our nation’s security, critics counter that it’s unconstitutional and tearing families apart. Hanan Albar, an American citizen, tells a firsthand account of the ban's impact on her family. Albar's ailing father, Hamed, who’s 63 and lives in war-torn Yemen, was just denied a visa. He had sought refuge in the U.S. for treatment and had just received encouraging news about his prospects. Then on Thursday, he sent an email to his daughter. "He says they denied him. ... I found out in the morning," Albar said. "I was crying. It’s very hard, you know? I work hard to process and try to get him here to the United States." An official State Department letter said Hamed's visa waiver "will not be granted in this case," as the entry could pose a threat to the national security or public safety of the United States. Citizens of the mostly-Muslim countries red-flagged by the president’s travel ban have cried discrimination. So, too, has a Bay Area congressman. "Their argument is that there is al-Qaeda and counter-terrorism operations," U.S. Rep. Ro Khanna (D-Fremont) said. "But that is so limited. The reality is that there are numerous civilians who are trying to flee Yemen on pure humanitarian grounds." Albar looked for a morale boost from close friends as she absorbed the news Thursday. "I’m a single mom. I work hard," she said. "It’s very hard for me to send money for my dad and take care of my kids." Albar's two children are 5 and 6. They were just reunited with their grandmother. The family originally fled Yemen in 2014 due to the civil war. They moved to Saudi Arabia, but Hamed recently returned to Yemen to care for his dying mother. Albar’s mom was able to get to the U.S. from Saudi Arabia. Her father went to Djibouti (the nearest American Embassy) to get his passport Thursday when he found out that his visa application had been rejected. Jehan Hakim, a community advocate with the Asian Law Caucus, said people are denied visas without even being made aware of the waivers, something that is impacting many people. “What a lot of the public is now seeing is the human side of these policies," Hakim said. "Families are being separated. The right to move and the right to be with your family is a really important piece of why we fight so hard."